Fillings should be treated as soon as possible. If left for too long, the pulp of the tooth might become infected, which will result in a root canal. There are two types of fillings: amalgam fillings (silver) and resin-based composite fillings (white). The latter is the most common, while the first is the most durable. 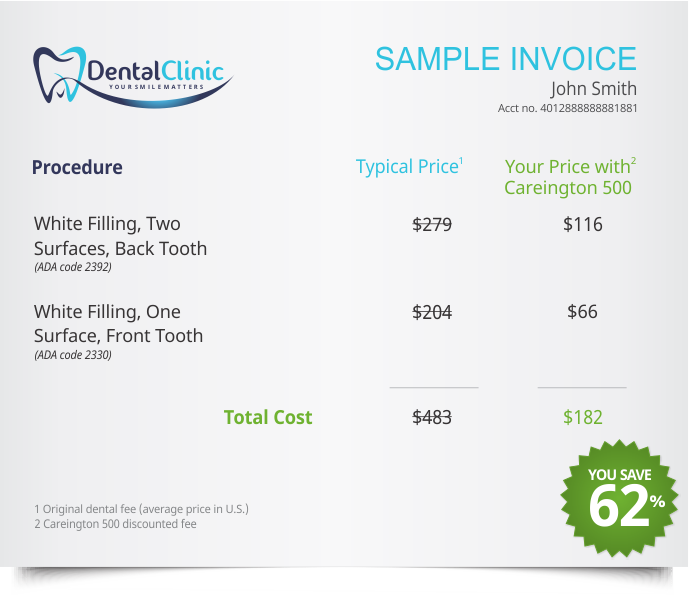 Below is a sample dental bill for a tooth filling using the Careington Care 500 plan at a general dentist. This patient had two fillings. One was at the back of the mouth (posterior) and the other at the front (anterior). The filling at the back was a two-surface filling and the one at the front was a one-surface. 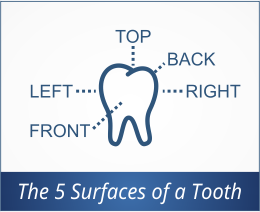 Each tooth has five surfaces. 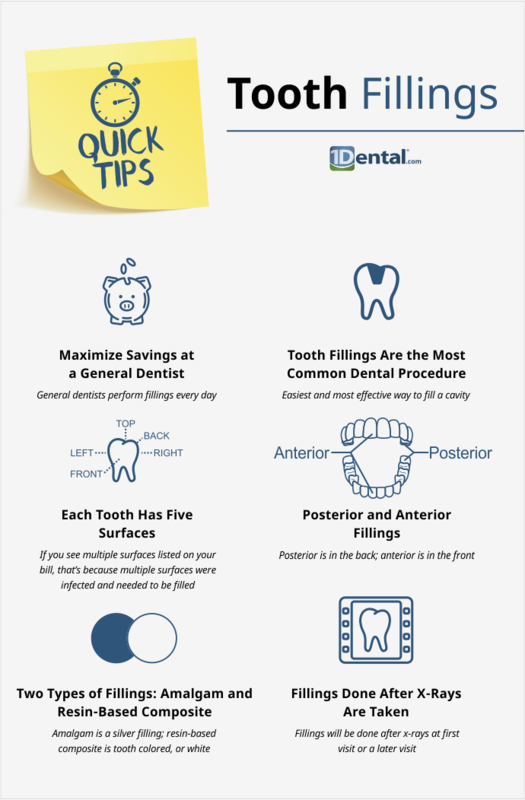 Some fillings can be done at your first dental visit after your x-rays are taken. Others will be scheduled for a later visit. Anesthesia is typically included in the price of tooth fillings at many dentist offices, but some dentists may show this as a separate cost on your bill. If they do, the standard price of local anesthesia is $110, and $29 with your Careington 500 plan. For nitrous oxide (gas anesthetic), the standard price is $87, and $18 with your Careington 500 plan.